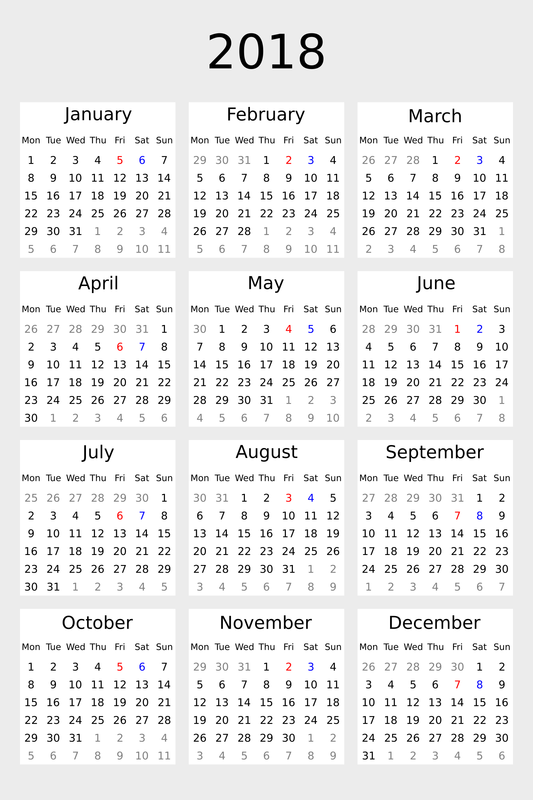 A calendar of the year 2018. Inkscape board meetings are marked red, inkscape vector teem meetings are marked with blue. Board meetings are held via irc #inkscape-devel @freenode. Vector meetings were held at mattermost & jitsi so far. Haven't marked gsoc or hackfest, still it's a good base for keeping shedules.